We'll send an email with a link/instructions for your downloadable software - Usually within minutes of order completion (some exceptions may take up to 12 business hours). 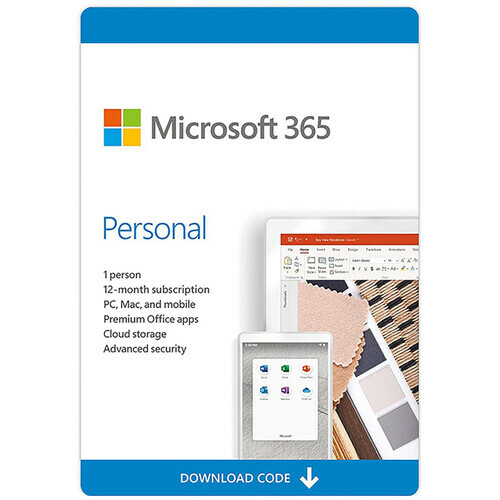 This download of Office 365 Personal from Microsoft is a one-year subscription to Microsoft Word, Excel, PowerPoint, Outlook, OneNote, Publisher, and Access. This subscription includes one user license, which may be used on a Windows PC, Mac, tablet, and Android or iOS devices. Also included with this subscription is 1TB of OneDrive cloud storage and 60 Skype minutes of calling per month to mobile phones and landlines. With Office 365, you have the ability to store your documents and files in the cloud with up to 1TB of OneDrive storage space. Once your files are stored, simply sign into to your Office account to access your files from virtually any Internet connected computer, as well as other select devices. Along with cloud storage, you can also share documents and files via Microsoft Outlook, providing email, shared calendars, and task-list tools. Integrated Microsoft Word templates allow you to use a keyboard, pen, or touchscreen to drag and drop images, media, videos, and content from PDFs and place them directly into a Word document. Please be aware that Publisher and Access are only available for Windows PC and are not compatible with Mac. Internet access is required to install and activate all releases of Office using the product key. Office 365 also requires Internet access to manage your subscription account, for example to install Office on other computers or to change billing options. Additionally, Internet access is required to access documents stored on OneDrive, unless you install the OneDrive desktop app. Customers with an active Office 365 subscription will be entitled to the newest versions when available. Note: This product cannot be returned or canceled. It can only be activated within the USA and its territories. Get the latest premium versions of Word, Excel, PowerPoint, OneNote (features vary), Outlook, Access, and Publisher with instant access to additional features every month. Application availability and features vary by platform, device, and language. Publisher and Access are available on PC only. Available on Windows PC, Mac, Windows Tablet, Windows Phone, iOS, and Android. iOS and Android require separate app installation. Get 1TB of OneDrive cloud storage per person with ransomware detection and file recovery to safely store, edit, and share documents, photos, and more, on all your devices. Stay in touch with your friends and family around the globe with 60 minutes per month of Skype calling to mobile phones and landlines. A Skype account required. Excludes special, premium, and non-geographic numbers. Calls to mobiles are for select countries only. Skype minutes available in select countries. View, edit, and create documents with advanced formatting and co-authoring features optimized for mobile phones and tablets. Office 365 Personal (1-User License / 1-Year Subscription / Download) is rated 4.4 out of 5 by 8. Rated 5 out of 5 by Benjamin from Works great Works as should. Rated 4 out of 5 by Anonymous from hmm.. pros and cons Great product but it can be used only for one year. I tried to cancel this order without downloading this software, but couldn't allow to do so. anyways, great product great price but bad return policy. Rated 4 out of 5 by Mike from As Expected This product is exactly what you expect from Microsoft. Very familiar interface and features. Rated 2 out of 5 by Carl from Doesnt work with my laptop My operating system is not new enough for the software 10.11.6, would like one that works. Rated 5 out of 5 by Anonymous from Fast and Simple 1 TB of one drive storage and office 2013 for only $$! A great value! Rated 5 out of 5 by Cheryl from Simple to do! An easy download to complete and up and running in no time at all! Rated 5 out of 5 by Anonymous from Great buy! Comes exactly with what is listed, and a great price too! How to use it in microsoft surface pro? how can i download microsoft office? An internet connection is required. 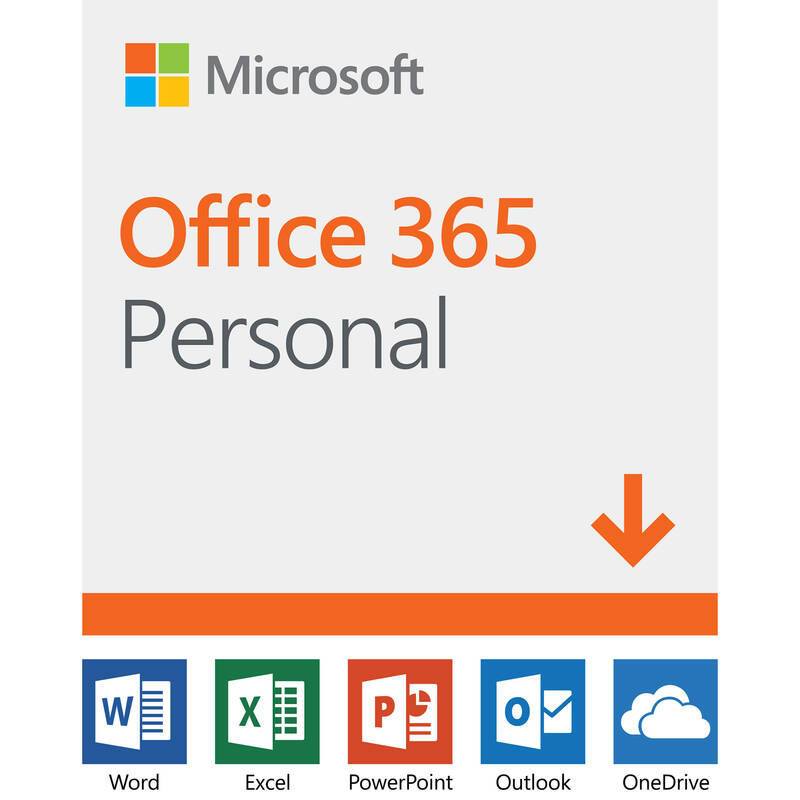 You will download Microsoft Office 365 Personal. Directions will be sent shortly after purchase. Can this license code be used to renew an existing Office 365 Personal subscription? I was able to extend my existing subscription with this license. will this work with the surface pro as a mobile device or as a desktop?? What is the cost of an ongoing subscription license after the year covered by this purchase is up?